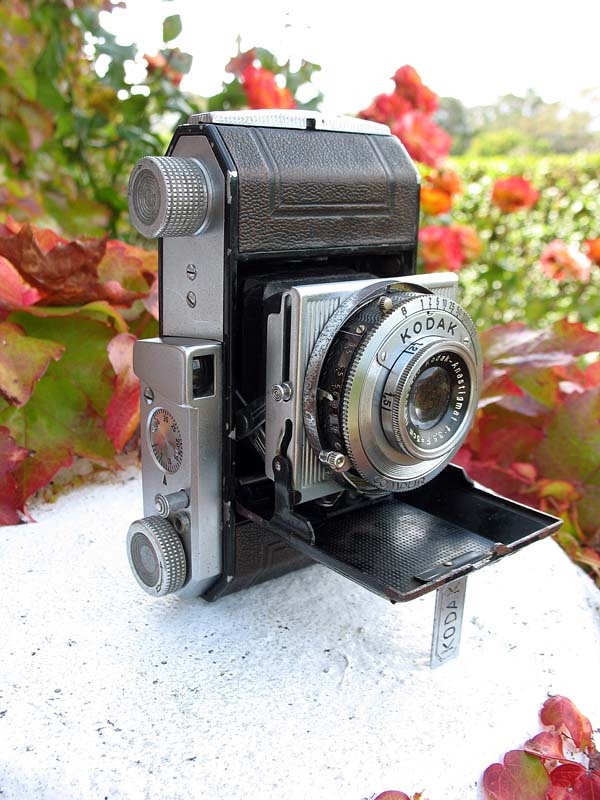 Manufactured in 1941, this camera was functionally identical to the Retinette type 160. The only differences being that the Retina has a chrome top cover while the Retinette has a black-painted cover, and where the Retinette has black leatherette under the rewind knob, the Retina has a chrome trim-plate fitted instead. This camera was unusual for Retina in having a front-cell focusing lens, and there is little doubt this was a cost saving measure. Like the Retinette type 160, the lens and shutter choices for this model were either a 5cm f/4.5 Kodak-Anastigmat in a four-speed Gauthier shutter, as on this example on the left, or a 5cm f/3.5 Kodak-Anastigmat in a Compur shutter, as on the one pictured on the right. These examples both have just two screws filling the holes in the top plate where an accessory shoe would fit. 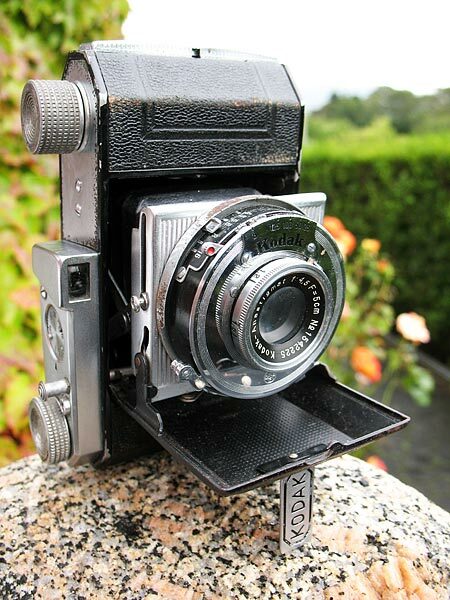 This was common on many Retina I cameras of the era.